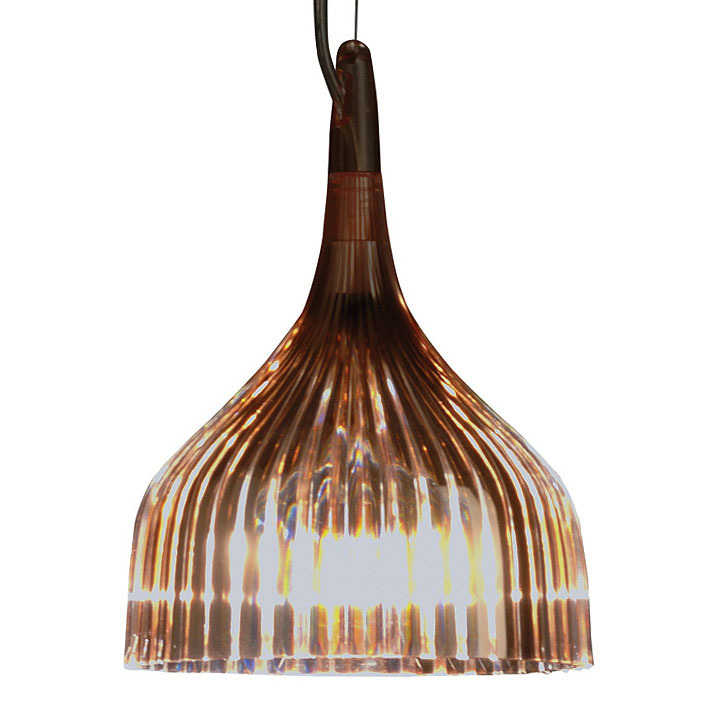 This is one of our favorite pendant lamps. 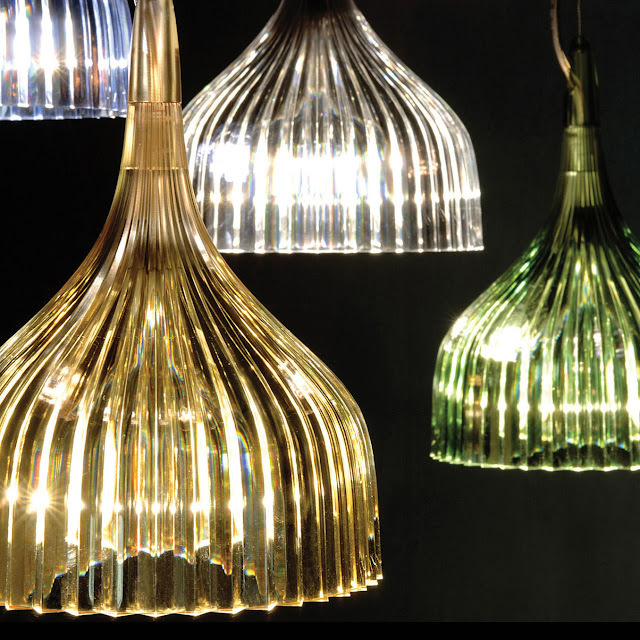 The Kartell E lamp consists of a pleated polycarbonate lampshade and a chrome metal rosette. The E pendant lamp was designed by Ferruccio Laviani for Kartell in Italy. The E lamp is a stylish pendant light fixture with a graceful appearance. This beautiful light fixture floats down from above and extends into a rosette lamp shade in matte or transparent polycarbonate. Its pleated design creates an optical refracted effect which is both eye-catching and contemporary. Kartell's E lamps are perfect over the dining table, kitchen island, counter top or bar. 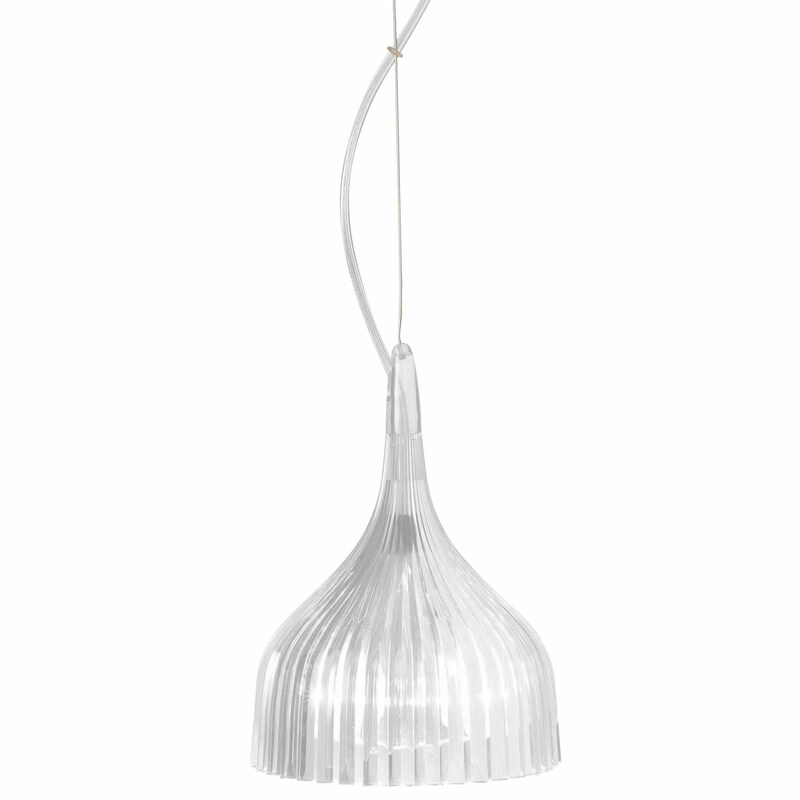 This sleek transparent pendant light will add a sparkling accent to your contemporary home decor. Available in a wide selection of colors. The cable length is adjustable between 12"H - 80"H.